Terrorist attack "a tipping point" for Bangladesh? A fatal terrorist attack in the Bangladeshi capital at the weekend has left the country's key garment industry in turmoil, with buyers rethinking travel plans and potential economic fallout for a sector reliant on foreign investment. Bangladesh's garment industry must now join with the government in taking a lead on security and economic issues if the sector is to continue to thrive and attract customers, observers say. Islamic extremists intending to attack foreigners stormed an upmarket restaurant in Bangladesh's capital on Saturday (2 July), killing 20 people – many of whom worked in the country's textile and clothing industry. Victims included Cristian Rossi who had his own textile consultancy firm, Fibres Ltd, which had operating units in Bangladesh and China. Also among the victims were Claudia Maria D'Antona, managing director of Fedo Trading Ltd, an Italian textile company operating in Bangladesh; while Nadia Benedetti was managing director of Bangladesh textile firm StudioTex Limited. Marco Tondat, a supervisor of textile production centres in the country, was also killed in the attack, as was Maria Rivoli who worked in the textile industry and was in Bangladesh on business. Claudio Cappelli, also a victim, ran a garment factory in Bangladesh for the last five years. The Islamic State in Iraq and the Levant (ISIL/Da'esh) has claimed responsibility for the killings, although the Bangladeshi government insists local groups were responsible. One of those involved in leading the attack is understood to be the son of Imitaz Khan Babul, a politician and leader of Bangladesh's governing party, the Awami League Party, according to reports today (5 July). Bangladesh's garment sector is one of the world's largest, employing around 4.4m and accounting for around 82% of the country's total exports. 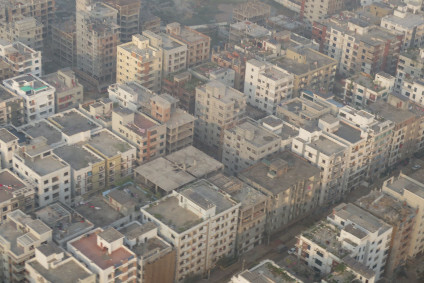 Sarah Labowitz, co-director of the NYU Stern Center for Business and Human Rights, suggests the tragedy could test the strength of Bangladesh's US$26bn garment sector if it deters foreign buyers from travelling to the country. "This is a tipping point in Bangladesh and what you really need now is leadership and governance from local industry, on the security front and on an economic front," she told just-style. "The pressure is on the industry and on the government to lead and to have governance of both the security issues and the RMG issues so that the industry can continue to thrive, grow and create jobs." Fast Retailing Co, the Japanese owner of casual-wear brand Uniqlo, said it will suspend all but critical travel to Bangladesh and has told staff there to stay indoors, according to Reuters. Uniqlo employs ten Japanese staff in Bangladesh, one of its major production hubs outside China. A senior executive from Hong Kong clothing giant Mainland Headwear Holdings, which operates a factory in Bangladesh, also told the South China Morning Post that it immediately requested local authorities to step up security procedures around its facility on concerns over the safety of its expatriate staff there. Other major retailers that source clothing from Bangladesh include the UK's Marks & Spencer, and Swedish fashion giant Hennes & Mauritz (H&M). A spokesperson for M&S said the retailer was "monitoring the situation closely", adding: "Our priority, as it always is in situations like this, is the safety of our employees." Meanwhile, a spokesperson for H&M told just-style: "We are deeply sorry about the attack in Dhaka, Bangladesh. None of H&M's co-workers are affected. We have safety routines to assure our co-workers safety on-site. There are no plans in changing any sourcing but we are following the development closely." The attack will undoubtedly renew safety fears for those travelling to the country on business. Some international buyers had postponed trips to Bangladesh in October last year after an Italian aid worker and a Japanese citizen were shot dead close to where this weekend's attack took place. Labowitz believes there needs to be a national-level effort if Bangladesh is to continue attracting buyers. "The government has barely acknowledged that the Islamic State has a foothold in Bangladesh. It has to have an honest reckoning about the role of the Islamic State and a strategy for counteracting it. And it ramps up pressure on the [RMG] industry to illustrate that they have strong fundamentals and that Bangladesh is a sound bet going forward." She also points out that the need for foreign buyers to have armed security guards for buying visits adds costs for suppliers and reinforces the image of Bangladesh as an undesirable and unstable place to do business. In an interview with just-style last year, Faruque Hassan, SVP of the Bangladesh Garment Manufacturers & Exporters Association (BGMEA), admitted the country's safety issues were a concern and not good for its image. But he dismissed the idea of any long-term impact. "It's very shameful when you look at the history of Bangladesh. This has given us a bad name, but I believe the media and some of the western governments have over-reacted on this." In a statement at the weekend, the BGMEA said of the attacks: "We are stupefied by the cruellest attack at the Gulshan restaurant, Dhaka. We condemn the attack in the strongest terms. We grieve the death of foreign friends as well as the members of our law enforcing agencies and are greatly shocked by the loss of these valuable lives. We have no word to condole the bereaved families." Hassan could not be reached for further comment today. However, he is understood to have told the Daily Mail that the attack will likely turn away foreigners. "The impact of this attack will be very damaging for the industry. We are now extremely worried," he told the publication. Hassan is factory owner of Giant Group, which supplies clothes to UK retailers M&S and Next. Bangladesh is still recovering from the 2013 Rana Plaza tragedy that killed more than 1,100 garment workers, and the Tazreen fire in 2012 that killed around 117 workers. But despite this, the industry has continued to grow at a steady pace. In 2014, Europe continued to be its largest export market at 51% thanks to its duty-free benefits under the GSP 'Everything but Arms' (EBA) arrangement, followed by the US at 29%, and Canada at 4.6%. In the year to June, clothing exports grew nearly 10% to $27.3bn. In a statement this week, the Alliance said it will "stay the course" in Bangladesh, despite the tragedy. "In the wake of last week's violent attack in the diplomatic area of Dhaka, our thoughts and prayers remain with everyone affected, including the victims, the loved ones of those who lost their lives or were wounded and members of the community who have been rocked by this attack. "We believe improving safety for the millions of men and women who make a living in Bangladesh's garment sector is a moral imperative - and while we are taking steps to to ensure the safety of our staff and contractors, our work to improve safety in garment factories will continue."